The Model MHS Hoist Operator is designed for use on rolling sheet doors. 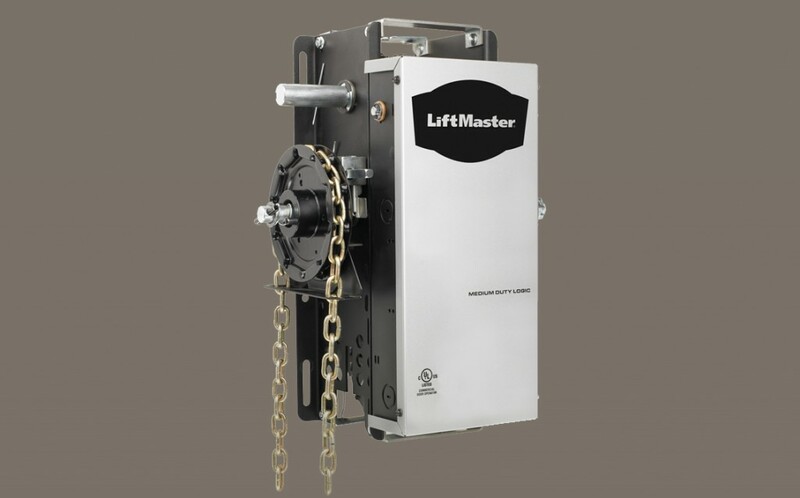 It features an adjustable friction clutch, high-starting torque motor with overload protection, emergency chain hoist with electric interlock, and emergency disconnect chain. With Open/Close/Stop functions, the three push-button control station is standard for all operators. Controls with one, two and three buttons are available. Maintenance Alert System provides notifications when routine maintenance is required on your Commercial Door Operator. With a powder-coated finish, the NEMA Type 1 electrical box construction is durable enough for most applications. Mounts on the left or right side of the door. No rails to hang—the Door Operator simply mounts on the wall and attaches to the door shaft through chain and sprocket. Door Operator electromechanical limit system enables ease of installation and adjustment to ensure accuracy, even after a power failure. Programmable in one-second or 15-second increments, Time-to-Close automatically closes the door. Ensure peace of mind with a LiftMaster two-year warranty. Patented Security+® radio technology accepts 20 remote controls and unlimited DIP switch remote control. Adjustable Friction Clutch helps protect against damage to the door and Door Operator should the door meet an obstruction. Signals door to reverse or stop if closing time exceeds maximum door travel to prevent damage to door and Door Operator. Provides easy emergency manual operation using an easily accessible disconnect. Chain hoist electrically interlocked floor-level disconnect for manual operation. Specification of right or left-hand hoist may be required. CPS-U Monitored Commercial Protector System.